Dallmeier is one of the world leading providers of products for network-based video surveillance solutions and has more than 30 years of experience in the development and manufacture of high quality complete solutions for the CCTV/IP sector. 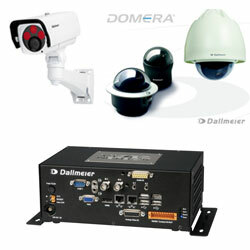 With the multifocal sensor system Panomera(r), IP cameras, recording servers, intelligent video analysis and software, Dallmeier offers complete systems and high quality components for video surveillance which can be integrated easily into third party systems thanks to open interfaces (e.g. Onvif). 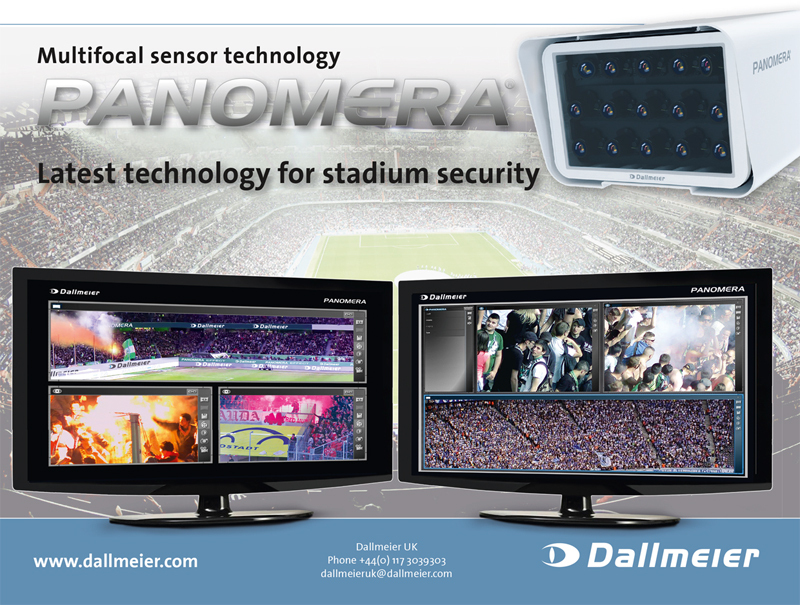 Dallmeier offers various solutions to enable FSOA members to update and enhance their video surveillance solutions to meet the modern challenges faced by today’s stadiums and to implement the latest technological advancements in surveillance in a cost effective manner. Leading surveillance expert, Dallmeier, is continuing its support of the Football Safety Officers Association’s (FSOA) drive to improve stadium and event safety as associate sponsor of the organisation’s Spring Conference & Exhibition. The FSOA will host its Spring Conference & Exhibition on March 21st 2018, giving organisation’s in the Events industry the chance to showcase their products and services whilst networking with other experts. An evening dinner will take place following the conference, which will feature Ex England cricketer and selector Geoff Miller as the special guest speaker reliving tales about his career. The evening celebrations will be compered by Andy Ashworth and also feature comedian Rod Woodward. Dallmeier – one of the world’s leading providers of network-based video surveillance and an expert in stadium security – is sponsoring a video wall at the event, which will be held at the Stratford Manor Hotel in Stratford- upon-Avon, as well as the dinner wine, the evening host and Geoff Miller’ appearance. The company is also proud to be sponsoring the pre-conference event, a curry and quiz night, to be held at the same venue on March 20th. A packed programme of talks and activities has been lined up for the conference, focusing on a range of relevant issues such as national terrorism threats, real-life insights into football stadium safety and Q&As with high-profile speakers. The event will also provide the perfect opportunity for organisations to meet with representatives of Dallmeier and the FSOA to learn more about the Funded Video Surveillance Scheme joint initiative, which includes a free system audit and video surveillance advice for stadiums. John Newsham, FSOA Business Development and Membership Manager, said: “We are delighted to once again have the support of associate conference sponsors Dallmeier, which will be sponsoring the video wall, the evening dinner wine, guest speaker and host, along with the curry quiz night on March 20th. “As well as giving organisation’s a great platform for networking with industry experts, our Spring Conference & Exhibition will also provide the opportunity for organisation’s to learn more about our joint initiative, the Funded Video Surveillance Scheme. Dallmeier UK offers various solutions to enable FSOA members (both Premier League and non-Premier League Clubs) to update and enhance their video surveillance solutions to meet the modern challenges faced by today’s stadiums and to implement the latest technological advancements in surveillance in a cost-effective manner. Dallmeier will provide advice to stadiums on video surveillance systems (VSS), including a free system audit with a road map for future CCTV development to meet the individual requirements of each stadium. FSOA members will benefit from preferential pricing and discounted video surveillance solutions available from Dallmeier UK’s Authorised Partners, to either compliment or replace their existing VSS. There is also funding potential from the FSOA for non-Premier League Clubs, based on an agreed selection criteria be it for a one off large number of spectators attended game, or for partial or complete upgrade of the existing CCTV system to High Definition video surveillance.